Anyhoo...I wanted to do designs inpired by the two teams this year, and since I've said before I'm no artist you aren't going to get any logos from me. 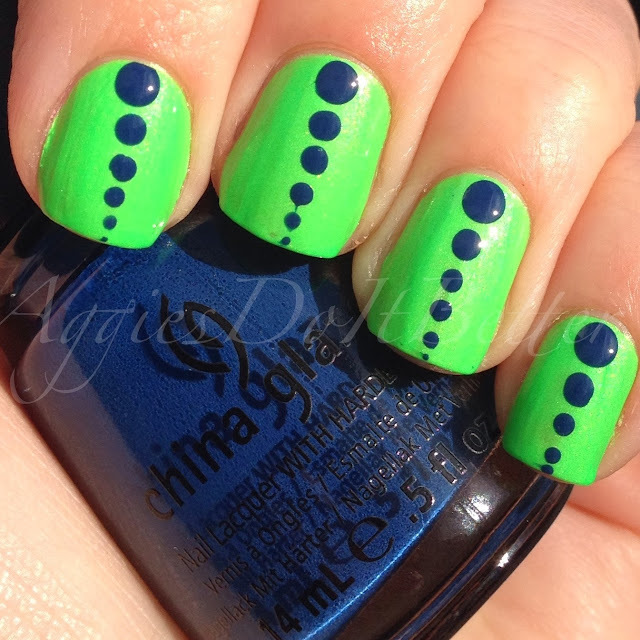 Here are some cool retro dots in the Seattle Seahawks colors, and they also kind of match their pants! 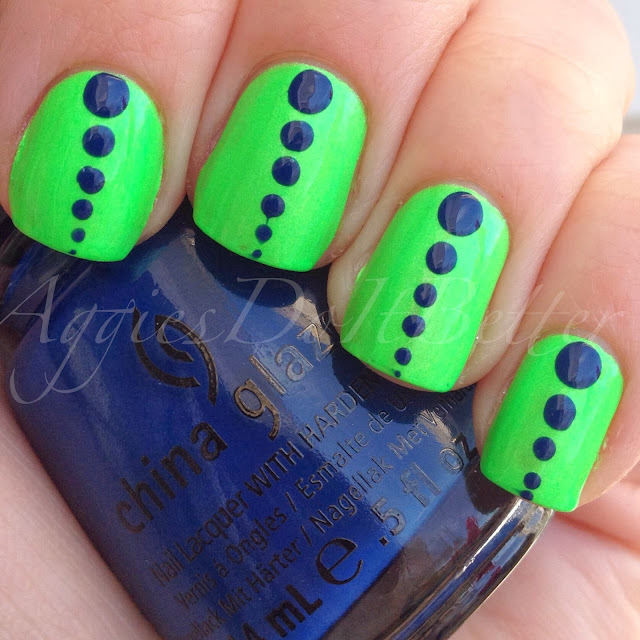 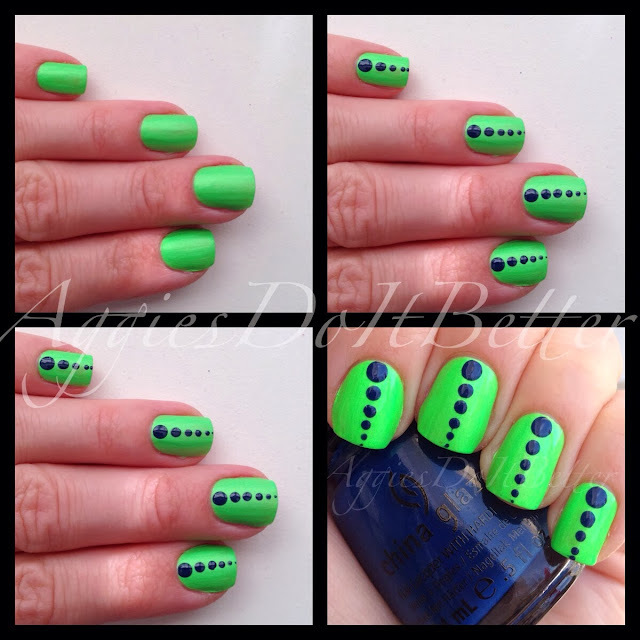 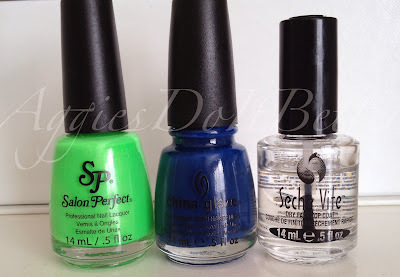 Here's a quick tutorial: the fluorescent green I used dried immediately matte....so after your dots are dried you definitely need a shinytopcoat to make them look glossy!